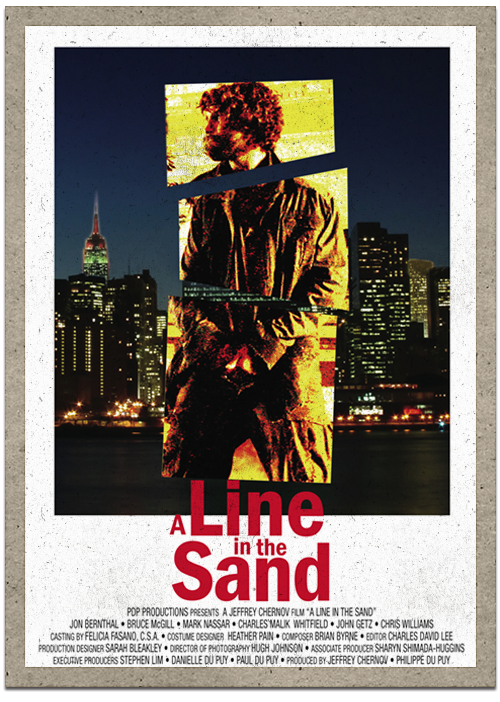 A hard hitting drama with a pinch of dark comedy, A LINE IN THE SAND delivers a powerful experience headlined by masterful performances and direction throughout. A LINE IN THE SAND tells a gripping story of one mans fall from grace on the hard streets of New York City, and how he ultimately finds redemption in the unlikeliest of places. A homeless man, known only as Banzai, is haunted by the wreckage of his past. But its not until he is jailed for an altercation with police that the full extent of his dark secret comes to light. A secret that stuns the detectives, forces them to confront their own beliefs of right and wrong, and leads them to question whether Banzai’s personal torment can be punishment enough.